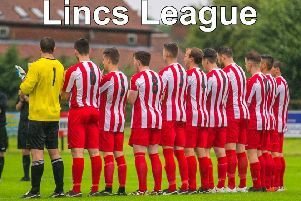 The Louth Leader Six-a-Side League Premier this week saw Louth Legends let a 2-0 lead slip as Old Boys fought back to 2-2. The OBs nearly clinched a late win, but the Legends hung on to stay top. Mark Donner AFC kept pace with the top two, coming from behind to win 3-1. New team OPY got an important 5-0 walkover win under their belts in Manby’s absence, while Marshall BMW edged a tight game with BF Pitches 1-0 to get their first win. * The Louth Leader Championship saw Louth All Stars finally take over at the top when they beat Ambulance All Stars 3-1. They took over from Tetney Tigers who conceded a last-minute equaliser in a 1-1 draw with Real SoSoBad. Job Centre XI got back to winning ways with a 7-2 win over Subs, while Dragon Men turned around a 1-0 half-time deficit to beat Is Your Motherwell 2-1.